Alfredo Landazuri was born in Lima-Peru, and graduated from Cenfotur Institute. 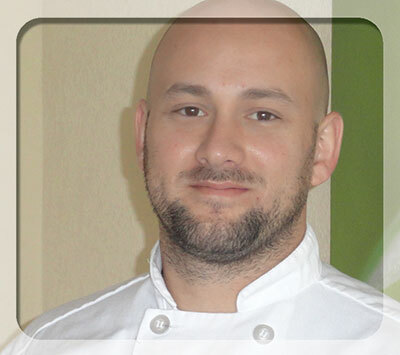 He relocated to the Outer Banks in 2001 starting his culinary career at Lone Cedar Café – Nags Head NC. After extensive training, Alfredo became part of the original Striper’s Bar and Grille in Manteo in 2005 where he became Kitchen Manager at the age of 22 and just four years later he became Director of Operations – Chef there. He was part of Striper’s until March 2010 when the business was sold. He was offered the opportunity to take a new adventure and help open a restaurant in Corolla, NC called “Sun Fish Grill”. He was the General Manager-Chef. for the seasons of 2010 and 2011. In December 2011, he was introduced to Edward Groce, owner of Art Fx, and became good friends with his family and partners. With Edward’s full faith in his talents, Alfredo was handed the key to open his own restaurant and his decision was to bring back the heart and soul of Striper’s Bar and Grille in Manteo. Under Alfredo’s management, the new Striper’s opened their doors on April 6th 2012 with a new menu, new great staff and best view in Manteo, NC.